On a side note, the Hey Michel Foucault tumblr is a nice little example of heteronormativity. The Foucualt meme developed out of the Feminist Ryan Gosling meme. 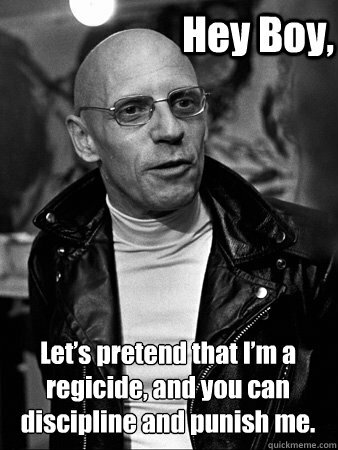 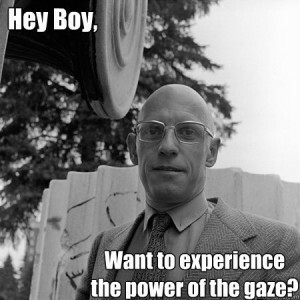 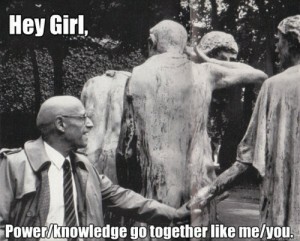 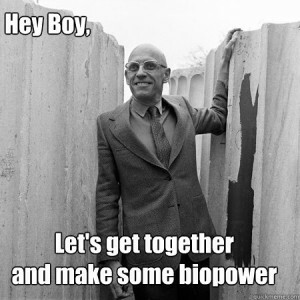 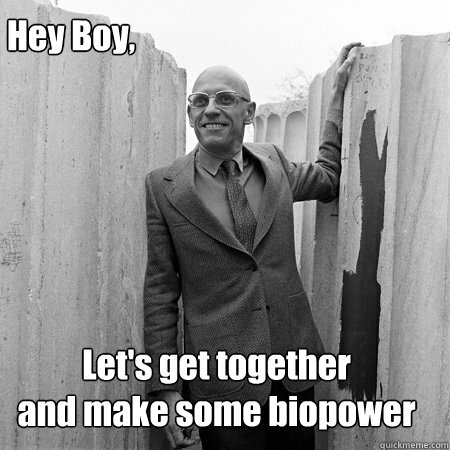 Since Foucault was gay, most of the contributors to this meme have replaced the ‘Hey Girl’ from the original with ‘Hey Boy’. However, a few have not. Looking through the Ryan Gosling meme, no one seems to have made the opposite mistake, and have Gosling address a “boy” instead of a “girl”. 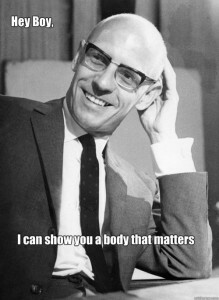 Because we consider heterosexuality the norm, people slip up and automatically ‘correct’ Foucault’s sexual orientation. 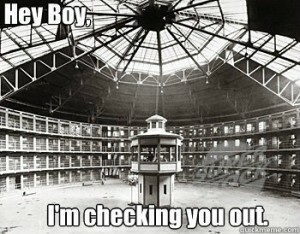 Since Gosling is not gay (as far as I know), his sexual orientation is automatically attributed correctly.